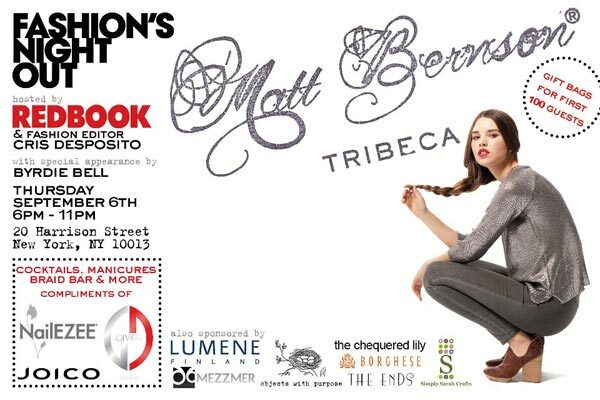 WHY: Cocktails, manicures, a braid bar, and, of course, SHOES at the Matt Bernson Fashion’s Night Out Event. Free manicures by NailEZEE, unlimited drinks with Given Liquer AND a braid bar staffed by JOICO plus purchase Matt Bernson shoes that have just hit stores. The first 100 guests get an amazing MB tote with sponsored items.